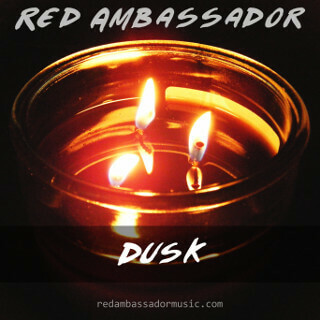 Find Red Ambassador on social media and music platforms across the web. Click the images above to visit SoundCloud, Bandcamp, Twitter, or YouTube profiles. Or, if you prefer old-fashioned snail email, click the envelope icon. No guarantees I’ll answer your emails. I’m not looking for any radio or publishing deals right now, so I’ll simply ignore those requests if you send them to me. Back in 1999, I became very interested in my dad’s classical guitar. It was an old guitar he received after his sister passed away in a car accident. She used to play folk and classical music on the instrument, but now he would strum out chords when he got home from work, now and then. I remember he came up with a song that had lyrics and everything. He called in the “Pumpkin Song” and we used to ask him to play it for us. I took a liking to this old guitar and wanted to learn how to play, so my dad taught me the few chords he knew and I would practice them. I’d try to fit my fingers around the giant neck and stretch to reach the right frets. My parents soon saw an interest forming and got a little kid guitar for me to play on. It was much easier to play and soon enough, dad and I were strumming chords together in the living room. I played that little guitar for a long time but I soon outgrew it. On my 10th birthday, my parents and grandparents collectively bought me a used acoustic guitar for Christmas. I was so excited when I found out what it was. The guitar had a full length neck, but was only a 3⁄4 body, so I could play it easier. This would be my axe for the next half-decade. I played everything on that guitar. Soon after I got the guitar, my parents decided I should get lessons. I had a really fun guitar teacher. She would come over to our house and set up to teach. She always had a smile on her face and when I would get frustrated, she would urge me to keep going or to try something different. She made music fun for me. Her and I went through books and books of classical and folk music. I few years later, we moved and so I started lessons from a different teacher. He was much more strict and rigid about music than my previous teacher, however, my skills grew immensely. He was actually a professional jazz guitarist but he continued my classical guitar training. He then got me going on music theory and had me working out scales and doing paper homework, which was new for me, in music. I still don’t understand music theory very well, but I do know that I have a better understanding of how things work. After a few years, he began asking me if there was a song I wanted to learn or a different genre of music. I took him up on the offer and asked if I could try to learn country music. So I did. We practiced little licks and riffs for a good while. However, on the home front, finances were getting super tight. I didn’t feel like I was getting as much out of lessons as I used to. Often times, I just wanted to sit and play my guitar without feeling the pressure of doing homework or something. Eventually, my parents and I decided to end my guitar lessons. In 2010 I formed a band with friends but the band faded about a year later. We were able to perform once at a small end-of-school-year ceremony. In 2011, I found out about a free, open-source digital music composition program called Linux Multimedia Studio (LMMS). I started making tons of short little songs with this new program, figuring out new tools and techniques as more time went on. LMMS became my new instrument, in a way. I loved the fact that when I placed a note, it would be played perfectly, at the same time, every time. I also love electronics and computers (a field I am getting my college degree in) so the blend of digital equipment and music made it an amazingly enjoyable experience. 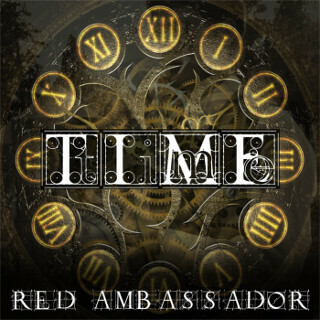 Why the name “Red Ambassador”? Read about it on my blog!